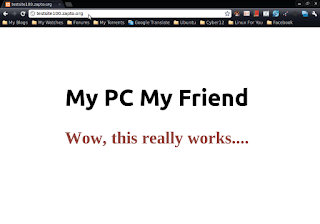 Have you ever wanted to make your own PC the Web Server and start creating the contents for it ? If you are one, then this article is definitely for you. I take it for granted that you have atleast a Website Editor such as BlueFish (Free) , Dreamweaver, etc.. (OR) You have HTML and any other Scripting Language's Knowledge. Now, open your web browser and go to http://localhost . This will open up the web page. 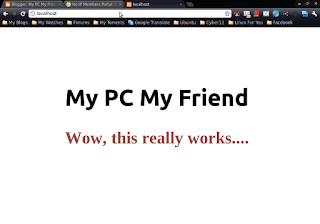 Check whether the web pages are like what you desired. Once you are ready to publish your content, move to the next step. 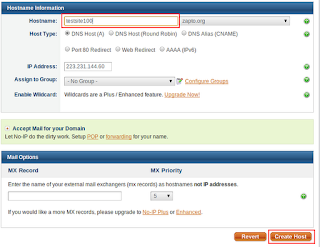 Register a new account there for Free DNS. After successful registration, Sign in with your account credentials. 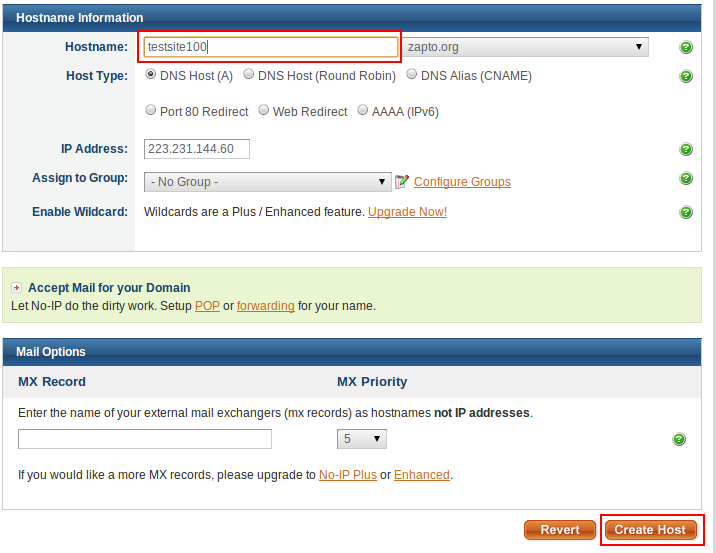 Click on Hosts/Redirects link and then select 'Add Host' button. Then Download No-IP for your OS from 'Download Client'. Every time, you connect to the internet, open No-IP application and it will automatically do the hard chores for you. Now, open your web browser and type the hostname you created (http://testsite100.zapto.org in my case). This will open the web site. This website will only be available if your system is up and running, the web server is running, you are connected to the internet and you have used No-IP application to update your IP. This is only for testing purpose and for fun. If you really want to host a professional website or website that is available always, host it on a Web Hosting site. Your PC cannot run for days without resting or you may have Bandwidth limitations from your ISP or slow Internet Connection. So for Professional sites, choose Web Hoster for reliable services.